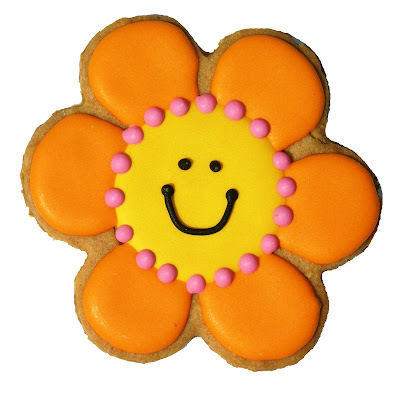 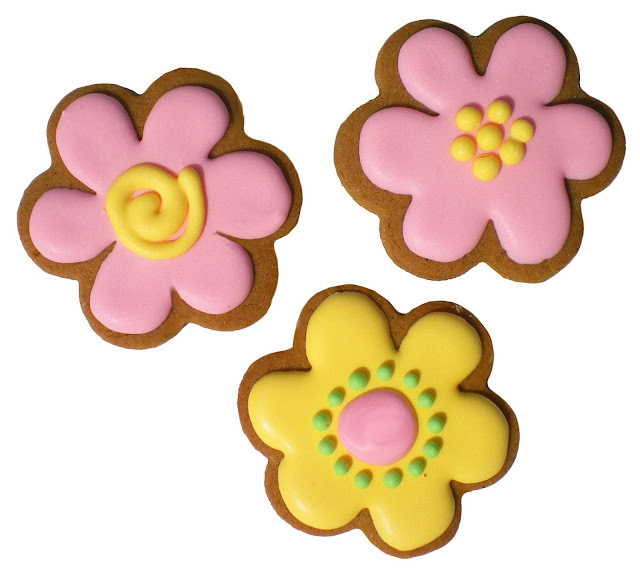 THE GINGER COOKIE: FLOWERS GOOD ENOUGH TO EAT! 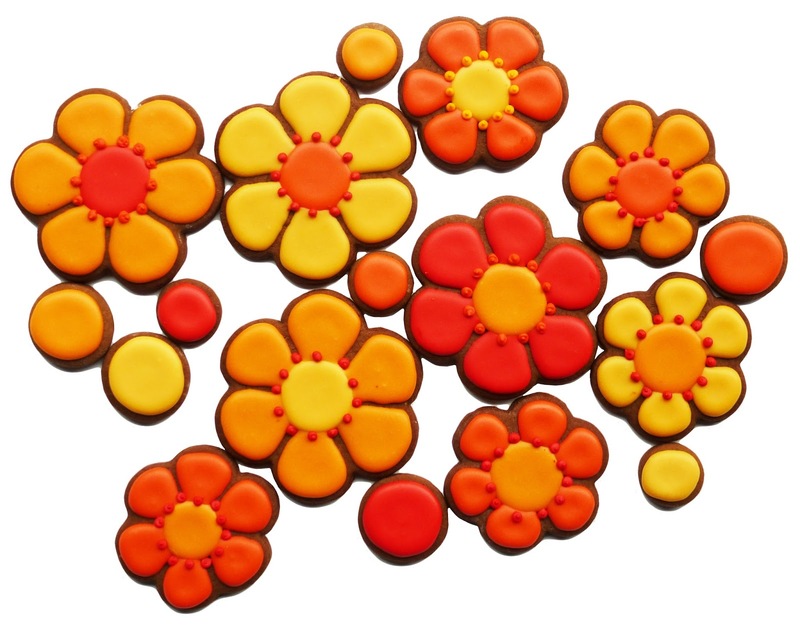 Recently Nina made bright colored flowers for friends. 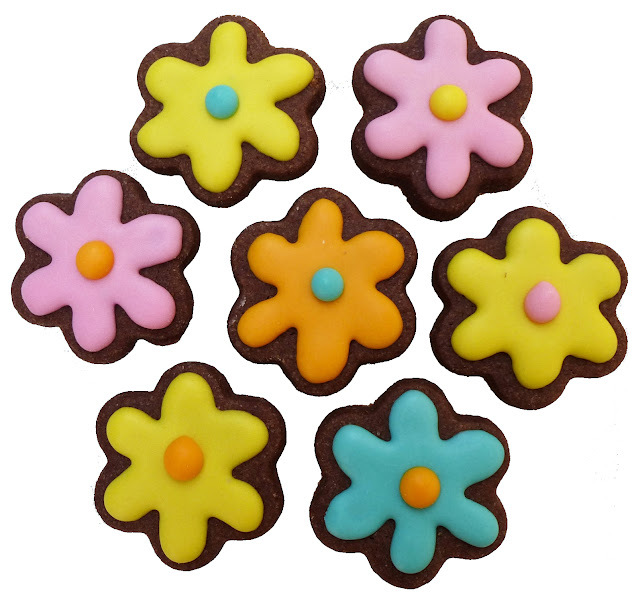 We've had this set of cookie cutters for a very long time and have used all the sizes over and over again. 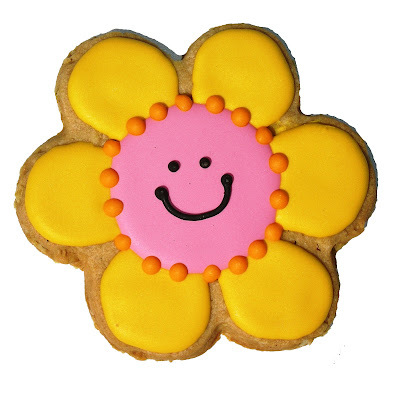 Depending on how you decorate the cookie it turns into a variety of flowers. 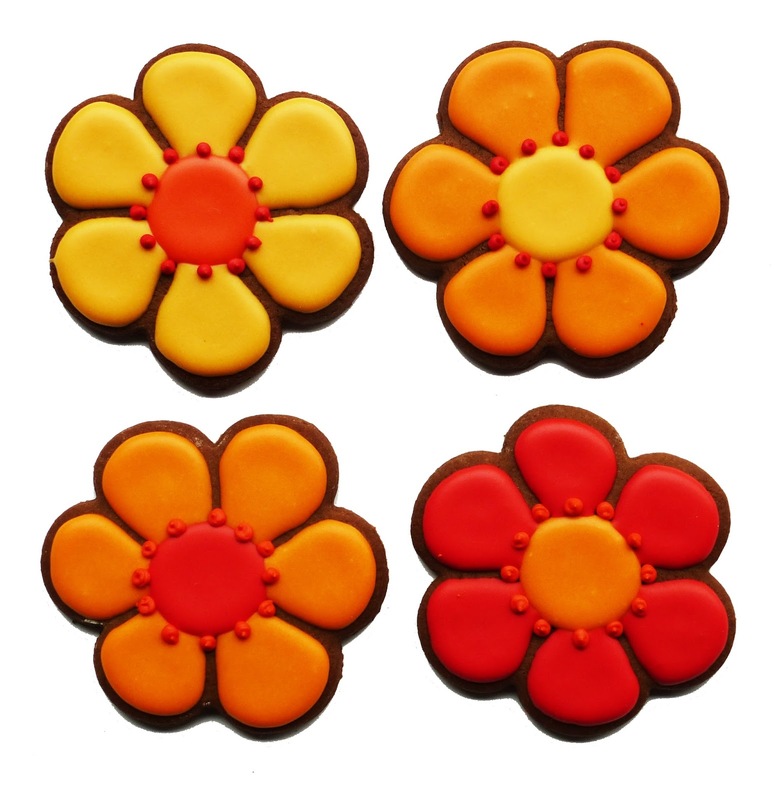 Varying the petal shape in icing makes a big difference. Color can change the whole feel of the cookie. 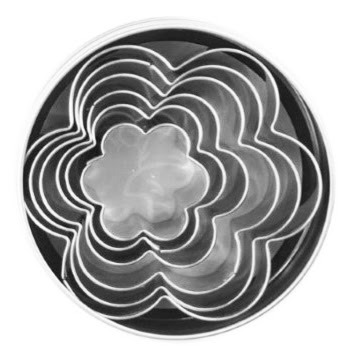 And the center of the flower can add a different look too. 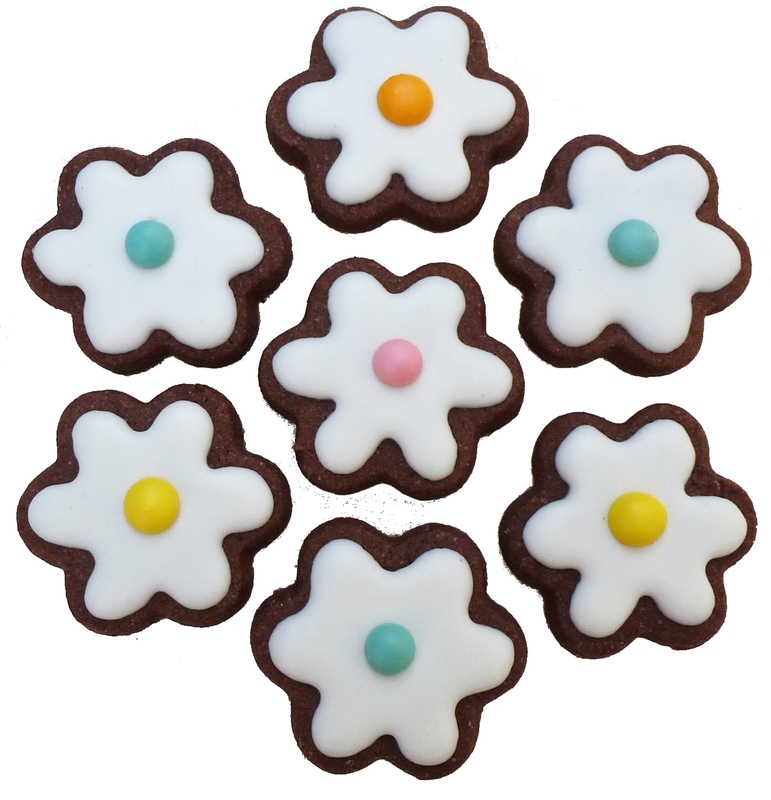 Jill made these for Easter one year with lots of different centers. and Nina made these for me for Mother's Day one year with happy faces. Stop and smell the roses but take a taste of a six-petaled iced cookie flower! 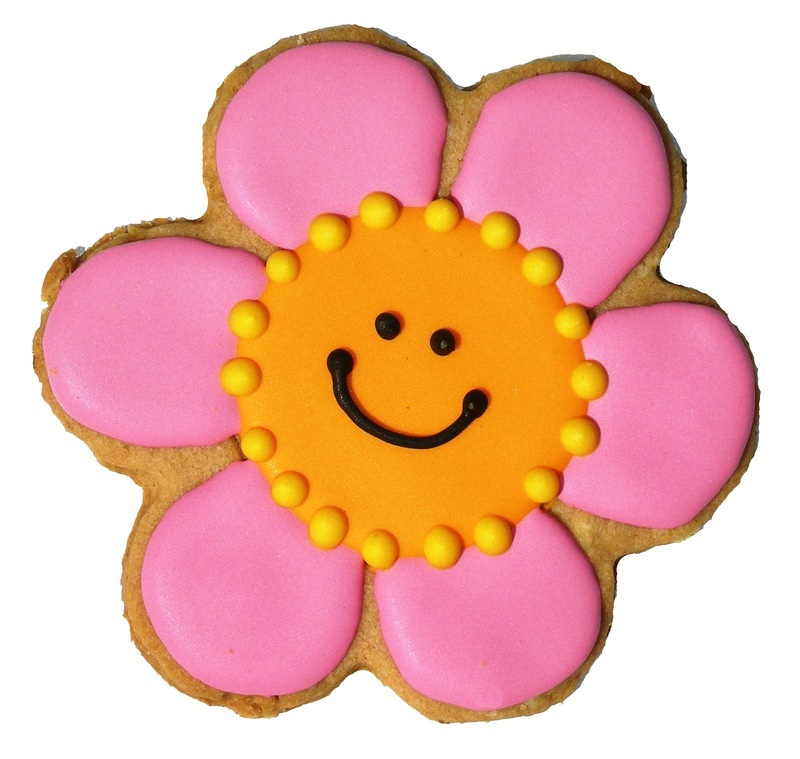 It's fun to bite off one petal at a time with the bigger cookies or pop a small one in your mouth whole. Yum!